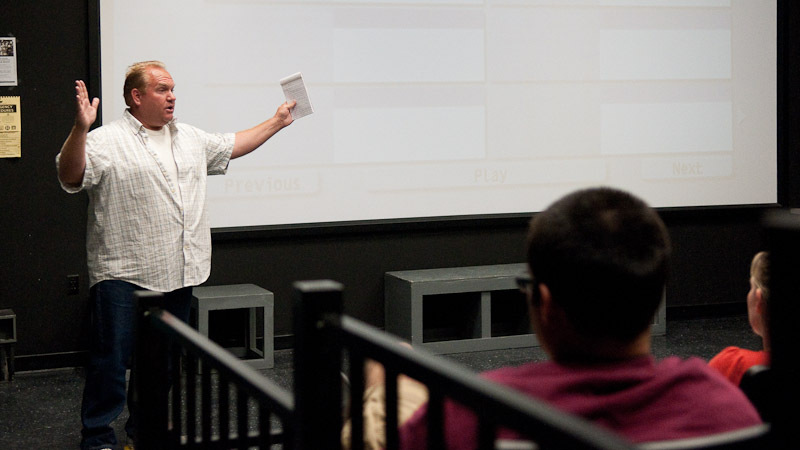 I had a really cool opportunity to watch my buddy Mike Cassidy give a presentation on his movie industry experiences for a class at the Lancaster Antelope Valley Community College. It was a four our class where he talked about the different aspects of how films are put together. He also showed clips from a handful of movies he worked on and he spoke about the details that went into the shots to make them come together. It was really cool to see him in his element and interact with the students. 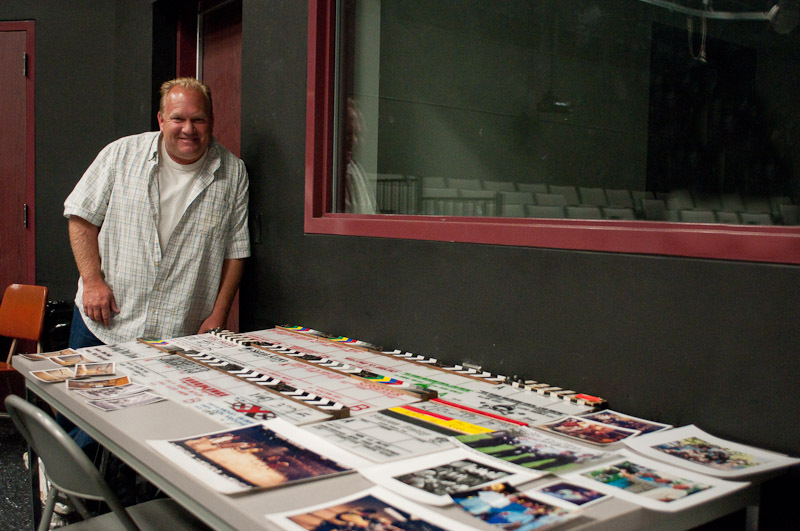 As you can see from the image to the left he also brought a collect of memorabilia from some of the movies and productions he has had an opportunity to work on. Some of the pictures from his past were pretty entertaining to look at as well. Mike has been part of this class for the last couple of years and the instructor has made him apart of the curriculum for the class. It really seemed like he was well received and I know that I had a good time!